…..If you haven’t noticed yet, the leaves are changing colors, the winds are picking up, and that can only mean one thing. Fall is right around the corner. Now if you AREN’T noticing any of these things then you’re probably somewhere South like I am where it’s still scorching hot, the leaves aren’t doing anything, and you’re anxiously awaiting the so called “Fall” as we Southerners know it (65 degree weather baby!) That being said we like to be prepared so we’re breaking down some of our favorite Fall/Autumn cocktail recipes over the next few weeks including this one today, and we’re reviewing some great holiday liqueurs as well (Pama up next). Nothing says fall like cider, so here’s one we’ve had and now keep in our collection for just the right occasions. Combine your ingredients in a shaker and strain into an ice-filled glass. 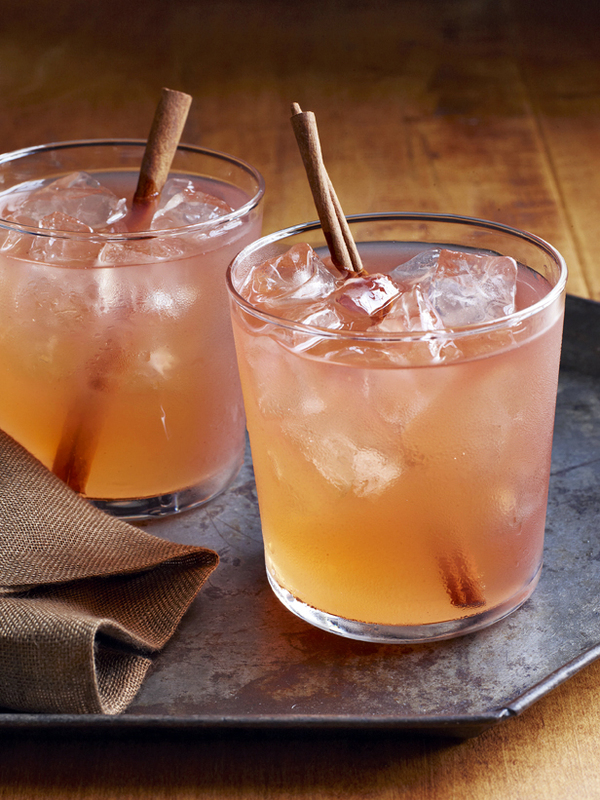 Top with hard apple cider and serve with a cinnamon stick. Recipe and Photo courtesy of the Food Network. This sounds so good! Love it!